The Range Light E8551 utilizes highly efficient LED technology to provide narrow high intensity light beam guaranteeing the visibility range of up to 14 nautical miles at nighttime. 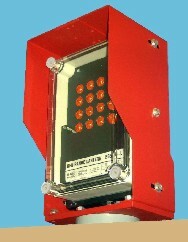 The light consists of a light unit, and of a marine grade aluminium enclosure. 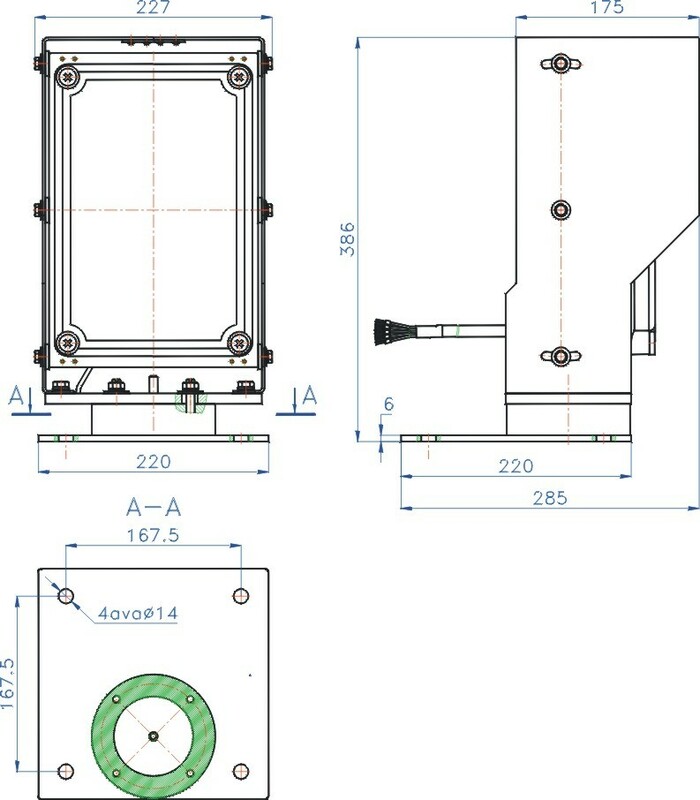 The light unit consists of a transparent polycarbonate front cover and of anodized back cover which is used also for dissipation of the heat. On the site of installation the light will be fixed by a hot zinc coated base plate. The direction of the light beam around horizontal axis is adjustable by rotation of the case with the light unit. Around vertical axis the direction of the light beam is adjustable by deflection of the light unit. improve the reliability of the lantern – when one group becomes faulty, another one will continue to operate. New versions of the lantern are currently under the development, featuring flasher, GSM communication controller and GPS receiver, allowing to integrate the light into remote monitoring and control system. and to synchronize the flashing of a group of lights by the GPS time signals. CAUTION: LED light units are sources of bright light, do not stare directly into the beam from close distances and observe all the warnings and guidelines in the Instruction Manual. ektaTM E8551 LED Range Lights are classified as Class 2M LED devices with maximum optical power of 40 mW (emitted wavelengths 400 to 700 nm) according to the standardIEC 60825-1:1993+A1:1997+A2:2001.